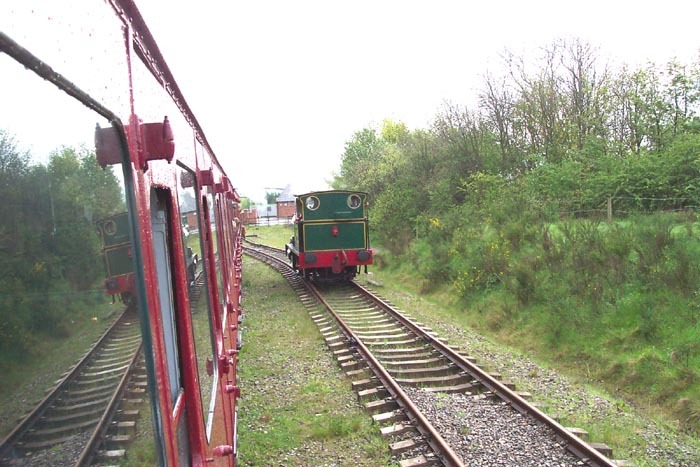 The end-of-the-line on the Chasewater Railway is Chasetown Church Street Halt. 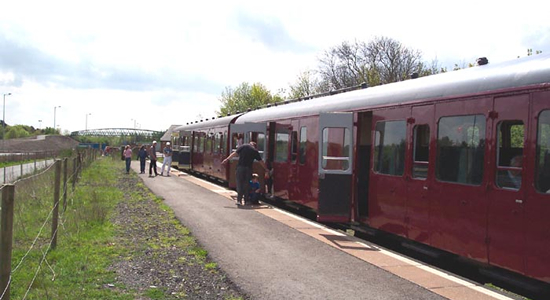 The recently completed stop is a single platform with a run around loop for locos to change ends of their train for the return trip to Brownhills West. 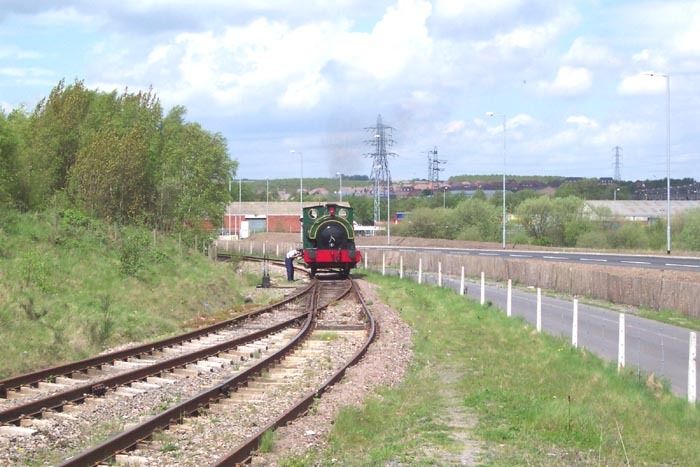 Above-left we see Asbestos reversing past its train to recouple the other end and pull the train back to Brownhills West via Chasewater Heaths station a few hundred yards away. Above-right we again see Asbestos about to move forward and couple up to the trains: Chasewater Heaths stations is just around the bend ahead. Unfortunately, it appears that there is no opportunity left to expand the line beyond this halt.